A special thank you goes out to Dianne of Hopelessly Devoted to Teaching for awarding me The Liebster Award. This award is given to a newbie blogger with under 200 followers. What a great way to end the year! Thank the giver, and link back to them. Reveal your top 5 picks, and let them know by leaving a comment on their blog. Now, to reveal the five blogs that I am going to award! Congratulations to each of you! You have contributed so much to the blogging world! My friend, Mrs. McKown at Little Literacy Learners, is holding a special New Year's giveaway. Visit her blog for details on how to enter. She is giving away 4 special prizes! Good luck! As an author for The Crafty Community, I am proud to say that we have reached 100 followers! In honor of this, we will be giving away a $20 Hobby Lobby gift card to one of our followers. For details on how to enter, simply follow this link to The Crafty Community. Happy crafting! Wordless Wednesday-I Think I Know the Star! Rover is a free iPad app that allows you to access flash content. The cool thing is that this app is designed with students and teachers in mind. Rover is powered by iSwifter, but this app provides content filtering to protect our students from inappropriate content. Download Rover by visiting iTunes. I have in no way been asked or compensated to review this app. While browsing the VocabularySpellingCity forums, I found a post about an iPad workaround for the flash games on VocabularySpellingCity. I thought it was too good not to share. It is exactly the type of app I have been needing in my classroom. I was thrilled to find Rover! As an author of Teaching Blog Addict and a contributor to TBA's 25 Days of Gifts, I am excited to share with you today's special gift. My gift to you is a collection of my favorite Christmas links, and they are all FREE! I can't help it, I'm a tech nerd! You've got to try Hangmouse! Enjoy visiting Santa and his elves. What is more fun than dancing elves with your own pictures? Countdown to Christmas with fun games and Santa tracking. Enjoy reading these fun Christmas stories. Teaching Blog Addict is now even easier to follow with its own Android and iPhone apps. Simply, scan the QR Code above, and TBA is always at your fingertips. Happy reading! I'm afraid that penmanship is a dying art. My principal should this clip to our faculty to generate discussion. What do you think? Do you still teach handwriting in your school? Do you feel it is important for kids to know how to write legibly in print or cursive? Many argue that technology is overtaking the necessity for penmanship. Think of the number of times you write a day: signatures on credit card purchases, checks, shopping lists, notes to your children, letters home to parents, information for your students on the board, etc. I am a tech fanatic, but I still have to write! One resource I use is VocabularySpellingCity's Handwriting Worksheets. You can create free, printable worksheets with your spelling and vocabulary lists in print, D'Nealian print, cursive, and sign language. They are even looking to increase the number of available fonts. What font do you use with your students? I would love to generate discussion on this topic. Feel free to state your opinion. I am very interested in what you have to say! Are you looking for a simple animation program for your students to use? Then, you've come to the right place! Fluxtime is an free online animation program. It is so simple that my 4th graders can easily create their animations on their own. Fluxtime's library offers backgrounds and clipart for underwater life, space travel, and beach scenes. You can easily adapt the scenes to your curriculum. The free version of Fluxtime will only allow you to email your animation as an e-card. Click here for an example created by one of my students. There is a paid version to this site, but the prices are in pounds. I'm not sure if it is even available for US customers. My students love Fluxtime! I'm sure your class will love it, too! I can't wait to do this with my students! We spent the entire week of Veteran's Day discussing the different branches of the Armed Forces. This will be a fabulous culminating activity. Your students can create cards or ornaments to be displayed on the Christmas Tree at the Vietnam Memorial. The ornaments are to honor our nation's veterans (past or present) and their families. The cards need to be received by Thursday, December 15, so I'm going to have my students start now. While searching for crafty ideas of my class' ornaments, I have found searching for 4th of July decorations. has provided better outcomes than Christmas ornaments. Some of my favorite, easy crafts can be found at http://www.dltk-kids.com/usa/. More information about the project and the mailing address can be found on the Vietnam Veteran's Memorial Fund website. Recently, I was invited to be a part of The Crafty Community as an author. I look forward to seeing you as a follower. This blog will be dedicated to crafts you can create with your kids at home or in your classroom. I'm looking forward to being a part of this crafty team. Kids love celebrating holidays. 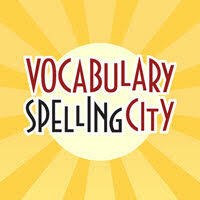 VocabularySpellingCity helps your students celebrate while they are learning. They have taken the most important holidays and events for each month and created lists to help aid in your celebrations. They lists can be imported into your free account to let your students find them easier. Your students can use the lists to play free, online games such as Hangmouse, Unscramble, and Match-It. You can create free handwriting printables using the words. There are two Thanksgiving lists available through VocabularySpellingCity's Monthly Holiday Lists: Thanksgiving and Thanksgiving Feast. Have fun celebrating Thanksgiving! I'm thankful for a job I love! I'm thankful for the 20 students that I teach! I'm thankful for parents who want their children to excel! I'm thankful for my family and friends that support me! I'm thankful to be in a school where we support each other as family! I'm thankful for supportive administration at the school and district level! I'm thankful that I'm a National Board Certified Teacher! I'm thankful that I'm allowed to expand my horizons and learn new things! I'm thankful that I'm involved in social media to enhance my professional learning! I'm thankful for the wonderful resources available through the Internet! I could go on and on, but I'd love to hear why you are thankful that you are a teacher. Congratulations to all the new National Board Certified Teachers! I was certified in Literacy:Reading/Language Arts in 2009. Easily, I remember the nervousness and anticipation of the arrival of scores. I remember screaming at the top of my lungs when I read "Congratulations!" I remember the many phone calls I made and received. I remember mourning with a close friend who did not certify by only a few points. That day ranks as one of the most profound memories of my life. My family and I have had a heartbreaking couple of days. Our beloved Snoopy had to be put to sleep yesterday due to complications from spinal arthritis. He was so much more than a family pet. He was a member of our family. 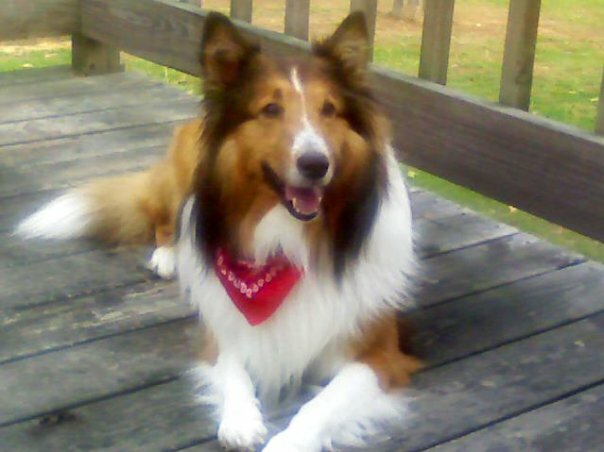 Snoopy was loyal, loving, happy, funny, quirky, handsome, and spoiled. I could go on for days about how great he was! My family, friends, and most importantly, my God, has helped me cope through this time. It is harder than I ever imagined! I do not regret the decision I had to make, but I sure do miss my boy. You know I'm an Edmodo lover! One of the main reasons is because I find great tips, resources, ideas, and link that are recommend by teachers. One of these that I discovered through Edmodo is Giveaway of the Day. This site offers a free software download everyday. Many of the software downloads have to be download on the day it is offered. It is worth checking out everyday. There have been downloads software such as for screen recorders, collage creators, PDF converters, and paint programs. I have placed the above ticker at the left side of my blog. You can keep up with all the great deals with me. I'm always looking for a deal! What could be better for a tech nerd than free software! I love teaching math! I especially love finding new tools that aid in my math instruction. Even better, is finding a tool that my students love, too. This is exactly what happened when I VocabularySpellingCity introduced their new math vocabulary section. The word lists which have been created from Common Core and NCTM standards are arranged by grade level and content standard. If you have a free account, you can simply import them into your account. Once you have imported them, you can edit the lists to suit your students' needs. You can add or remove words and customize definitions and sentences. I tend to use them just the way they are! Vocabulary is a very important part in understanding math. It is the basis for all math principles. Also, it is important they have a basis of math terms to use in standardized testing. Every two weeks, my students are presented a new list that I print from VocabularySpellingCity using the Flashcards button. The kids play the various games daily on our Promethean ActivBoard during math centers time. Finally, the are tested on the words using the Vocabulary Test Me feature. You can easily see why VocabularySpellingCity Math Vocabulary is a must have! As I was browsing Facebook early this morning, I saw the above picture. I couldn't get the saying out of my mind. As we met for our weekly before school prayer and devotion, the subject was much the same. We discussed how for some of our students, we may be the only Christian that they see. As my mother always says, "With God, there are no coincidences." 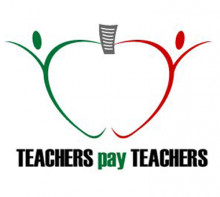 Do you remember your teachers from elementary school? Of course! You remember some as being positive and upbeat. You remember others as crabby and mean. Some were kind and loving. Others were there simply for the paycheck. 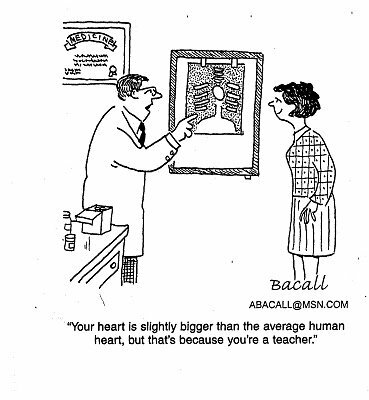 What do you want your students to remember about you? 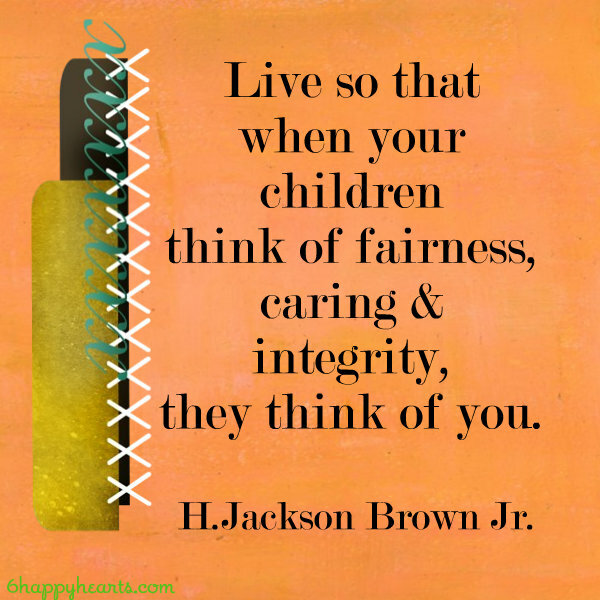 Hopefully, my students find my fair, caring, and full of integrity. Although, I don't force religion upon my students, I don't hide my beliefs, either. I can talk all I want, but it is how my actions are presented to my kids that make all the difference. My prayer is that I live in a way that my former students will remember me as the kind of person Christ requires me to be. The following article was posted on the Office of the Governor, Robert Bentley Website. I thought it was most fitting to simply copy and paste the article. MONTGOMERY—Governor Robert Bentley today announced that Alabama leads the nation in reading gains and meets the national average in reading for the first time, according to data released from the National Assessment of Education Progress (NAEP). The report indicates that, since the last national assessment in 2009, Alabama is one of only four states in the nation to show significant gains in 4th grade reading scores. NAEP also measures math achievement in grades 4 and 8. Alabama is one of only nine states in the country to show significant improvement since 2009 in 4th grade math. Of the nine states, Alabama shows the second highest gain behind Arizona. In Governor Bentley’s first proposed education budget to the Legislature, he protected education programs like the Alabama Reading Initiative and the Alabama Math, Science, and Technology Initiative that help students succeed in reading and math. He has also committed to prioritize these outstanding programs in the FY 2013 education budget to ensure that tremendous gains in education will continue. Alabama’s 8th grade reading scores have shown significant improvement over time as well. Alabama is number six in the nation in reading score increases from 2003-2011. Larry Craven, interim State Superintendent, said this is phenomenal news and further indication that education in Alabama is on the right track. He said programs such as the in the Alabama Reading Initiative and funding for reading coaches is showing a return on its investment. My 4th graders loved Voki! Voki is a speaking avatar. Their site claims that it "motivates students to participate, improves message comprehension, and introduces technology in a fun way." It is all of this and more. Voki is just fun! 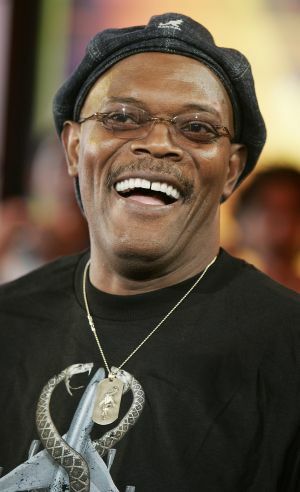 To create a Voki, you simply create your avatar by editing their avatar and then give it a voice either through recording are typing text that is converted to voice. One of my students logged into Voki and an avatar of Jesus appeared. It wouldn't allow them to edit the avatar. The only explanation I could give was that Jesus is perfect, so we can't change him! Enjoy this Voki my student created about A.J. McCarron, the quarterback of the University of Alabama. Roll Tide!